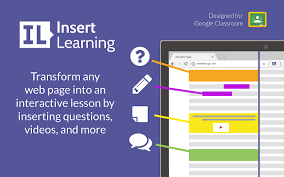 Insert Learning is a Chrome extension, which allows educators to embed questions and discussions directly into websites for students to review and respond to. You can use it to easily scaffold text with questions and media that help all of your students be more successful learners. 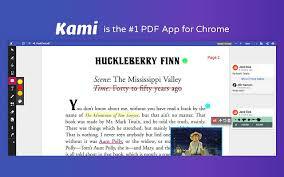 Kami is a Chrome extension which lets you annotate, mark up, and collaborate on your PDF, document, and image files with text, audio, or video. It integrates with Google Drive, Google Classroom, Schoplogy and Canvas. Tagged apps, extensions, reading, writing. Bookmark the permalink.